"Sampath Speaking" - the thoughts of an Insurer from Thiruvallikkeni: Kumble retires ! - what makes good Coach - who is a better runner : Sehwag 0r Ganguly ? Kumble retires ! - what makes good Coach - who is a better runner : Sehwag 0r Ganguly ? Every One wants to win ~ the expectation itself puts pressure on people. Captain is as good as his team is !! ~ though lot could change with the approach of the leader. Being a leader is a complex job. There are subtle nuances of marshaling the available forces rightly and at right time. On the field we have seen genius ice-cool and people who react – there have been Captains who would talk to the bowler ball after ball, change the field settings once too often and express anger and dismay at once. It is a harsh reality that in the Competitive environment, boiling cauldron, there is less and less discretionary time. Captaincy and Coaching are therefore, unique type of working relationship that can have significant impact on developing the independent problem-solving capabilities into team efforts. One should not be thinking and planning too much, that may fail, because the game happens too quickly. The key is preparation, one cannot rely on empirical data or experience all the time – one has to hear to instincts too !!! 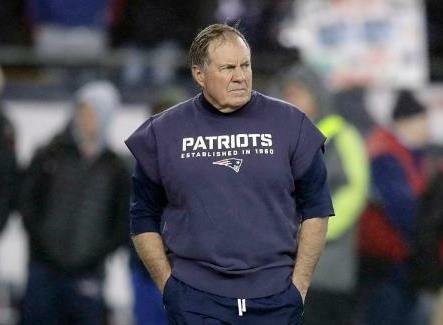 In between heard of - William Stephen Belichick ? In olden days, only those who struggled in the classroom would go for private tuitions; for others the class room deliverance was quite enough to succeed. With years, the concept changed – now a days, coaching is seen as an effective tool for optimizing efficiency. One need to be a good coach – need not have the best of the abilities in the field and need not have succeeded at the top is another theory. By a natural corollary, talent and success as a player do not necessarily make a good coach – and so many are writing about India losing a nice person as Coach as Anil Kumble makes his exit .. the Q is whether he delivered and not whether he was a nice gentleman ? New Zealand coach Mike Hesson has done more to show that a paucity of playing experience need not be a barrier to a plum coaching job. His coaching journey had began accidentally as he was offered a contract for a club in Cambridgeshire in England on the condition that he was involved in coaching too. Kenya provided Hesson's international job when he was hired after the 2011 World Cup. Only 11 months later he resigned, fearing for his family's security after his family fell victim to an attempted car-jacking and a grenade exploded near their house in Nairobi. When John Wright quit as New Zealand coach in 2012, Hesson became one of the few full-time coaches of a Test nation not to have played a single first-class match. Down under John Michael "Mickey" Arthur, a South African cricketer hit a controversy axing - Shane Watson, James Pattinson, Mitchell Johnson and Usman Khawaja purportedly for failing to give a powerpoint presentation on how they could improve following their embarrassing innings defeat in the second Test. The furore is on Anil Kumble stepping down from his position after a widely-speculated feud with captain Virat Kohli, marking a bitter end to a highly successful tenure. "The Board of Control for Cricket in India (BCCI) confirms that Anil Kumble has withdrawn his services as the post of the Head Coach for the Senior India Men’s team," said the BCCI in a statement. "While the Cricket Advisory Committee had endorsed an extension to his tenure as Head Coach, Anil Kumble has decided not to continue as the coach," read the statement further. Anil Kumble conceded that a fallout with captain Virat Kohli was the reason behind his decision to resign as India's cricket coach, claiming that their partnership had become "untenable" despite attempts to resolve the misunderstandings. Kumble's decision to step down came just two days after India's embarrassing loss to Pakistan in the Champions Trophy final. On a different plane, Anil Kumble’s decision to not seek an extension as India coach seems to have displeased the BCCI’s advisory committee too. This body comprising Sachin Tendulkar, Sourav Ganguly and VVS Laxman is of the opinion that since their choice can’t be appointed coach because of objections from the Captain, they might be forced to think of not consulting him or other players before selecting the new candidate. The advisory committee might have been miffed by the fact that their efforts have been undermined along with their choice. To some this sets a precedent that has no parallel in India’s cricket history. Some other report suggests that a section of the BCCI was unhappy with his involvement in matters like pay revision and participation in Champions Trophy. Every game has its charm ~ Ivan Lendl, Sunil Gavaskar, Sachin Tendulkar, Anil Kumble would look madly methodical; you always have Viv Richards, Sehwag, John Mcenroe and more - the debate would live : is it natural talent or right technique shaped by coaching ! – which will succeed – there can never be a right answer. BCCI has dallied with foreign coaches with different results….. first it was the New Zealand left hander John Wright in 2000 and India enjoyed a remarkable winning percentage of over 40 in Test cricket, winning 21 out of 52. In 2012, Joe Dawes – Who ? replaced Eric Simons becoming somebody who never bowled at an International level, bowling coach. There have been times when Coaches rather than suggesting tips for improving the game and approach, try a new ball game and players instead of improving get hurt !! …. Cricketers have twisted their foot playing football a day before the match…. Here is one interesting anecdote read in Indian Express. During a period of play between India and Bangladesh in the Champions Trophy semifinals, Sourav Ganguly and Virender Sehwag engaged in what looked like extempore, giggle-inducing, full-on banter. The discussion revolved around who was the better runner between the wickets. Ganguly, who brought elaborate stats centered around running between the wickets, even accused Sehwag of spreading lies. That got the southpaw’s goat. “... You still have to give an interview in front of me.” A putdown from Ganguly, a member of the Cricket Advisory Committee (CAC) tasked with selecting the coach, reminding his once opening partner about who held the aces. But Sehwag’s reply in itself was interesting. For starters, it wasn’t the cartoon character we are usually treated to on social media. Still, whether the swashbuckler Sehwag would become a great Coach ? ~ and it certainly would not be his batting abilities that would make him succeed and by the same yardstick, there is no credit in being a gentleman or achiever with the ball, but the coaching ability should the yardstick. A Coach must take the Team and its Captain alongwith him to succeed. William Stephen Belichick, is an American football coach, head coach of the New England Patriots of the National Football League (NFL). He was previously the head coach of the Cleveland Browns and reportedly is the highest paid Coach. A story often told about Belichick is that he refers to every member of the Patriots organization as a “shareholder.” And being a shareholder, Belichick has said, translates into having “an opportunity to show positive leadership or negative leadership.” In other words, values don’t belong to the organization; they are the property of each individual and are held collectively. The business corollary here is “organizational identification”—meaning how readily people identify with their organizations.